Aging seems to be a simple age-related concern; that every human tends to experience, but we fail to understand the complexity involved in the process as it is influenced by various factors. These factors not only change the structure of the skin but also affects different layers of the skin. Signs of aging not only include loosening and sagging of skin but also includes pigmentation, fine lines, open pores, and dullness, which we cannot battle. This is an indispensable part of the natural aging process. At Dr. Nivedita Dadu Dermatology Clinic, we recommend a combination of treatments where technologies are amalgamated in a protocol so as to treat all the signs of aging with no downtime at all. 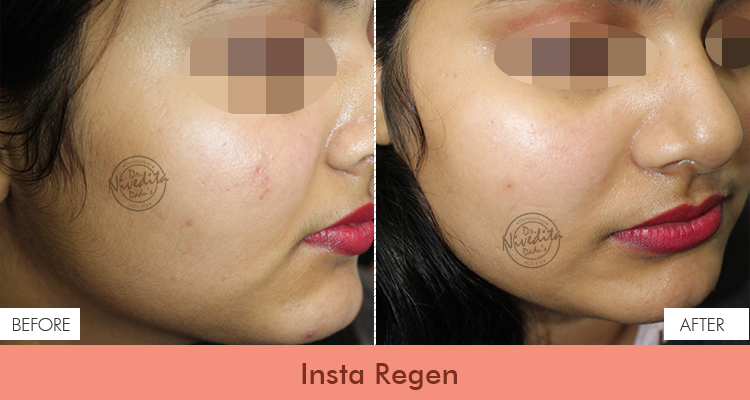 On one hand a top notch, non-ablative laser is used to work upon the initial signs of aging like pigmentation, dullness, fine lines etc, whereas on the other hand vacuum-based technology works on gentle rejuvenation and collagen renewal. Fusion of these two lasers stimulates collagen production underneath the skin. New collagen is the key to youthful and firmer looking skin. With aging, collagen production slows down dramatically, which is the root cause of most fine lines, wrinkles, under eye circles, and other aging symptoms. At, Dr. Nivedita Dadu Dermatology Clinic, we work on by kick-starting collagen production at the source, and thus reversing the signs of aging. This innovative blend is pain-free with absolutely no downtime. You can easily continue your daily routine without any visible signs of treatment. There is no chemical peeling or redness, and no needle marks or bruising. It is a comfortable warmth from the inside out that inspires an instant, natural glowing and firmer skin. Dr. Dadu recommends successive sessions for long-lasting and ultra effective results!